Bradenton Plumber, Wimpy's, Solved Mystery Plumbing Problem! Home / Lakewood Ranch Plumber / Bradenton Plumber, Wimpy’s, Solved Mystery Plumbing Problem! Bradenton Plumber, Wimpy’s, Solved Mystery Plumbing Problem! Bradenton Plumber, Wimpy’s Dependable Plumbing, solved mystery plumbing problem Thursday afternoon. The customer was so grateful, because he had tried everything he knew before he called. Bradenton Plumber, Wimpy’s, solved mystery plumbing problem, shortly after he arrived at the job. With over 40 years of experience under his belt, Bubba Butler was able to determine the problem and fix it. Bradenton Plumber, Wimpy’s, solved mystery plumbing problem because he had everything on his fully stocked plumbing truck in an organized manner, where he could find just what he needed right away. Some Plumbers drive vehicles so disorganized, that when they open the doors, stuff starts falling out. Not Wimpy’s Dependable Plumbing. Their trucks look the same way that they do their work. Neat, clean and professional. If you want your mystery plumbing solved, you need to Call Wimpy’s Dependable Plumbing. Their staff of Florida State Certified Licensed Master Plumbers are ready to solve all of your plumbing problems, 24/7. If you have to call a Plumber, why not call one that can take of your problem on the spot? They give estimates, second opinions and just plain honest answers. 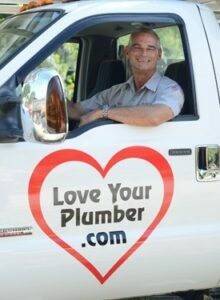 Call 941-322-1911 and speak to Lori or schedule online at www.Loveyourplumber.com. You will be glad you did.